What had evoked such a response from the Kamano-Kafe translation team? It was the DVD produced by a church in Papua New Guinea several years ago depicting the devastation of AIDS. The story focuses on one family in which the parents contract the disease through the husband’s unfaithfulness. The story goes on to show the tragic effects on the wife and children. After obtaining permission to reproduce the 80-minute film in minority languages, the team faced technical challenges. In the USA, media specialist Lauren Runia utilized new technology to pull the video from a DVD and prepare it for recording. 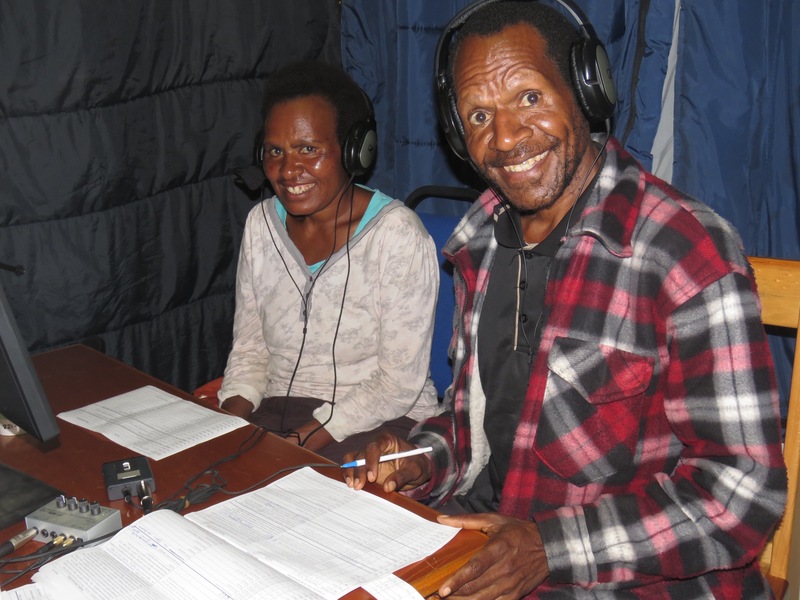 Then he and his wife Connie spent a month in PNG training five highly capable men to record the voices, dub the sound onto the film, and create the DVDs. 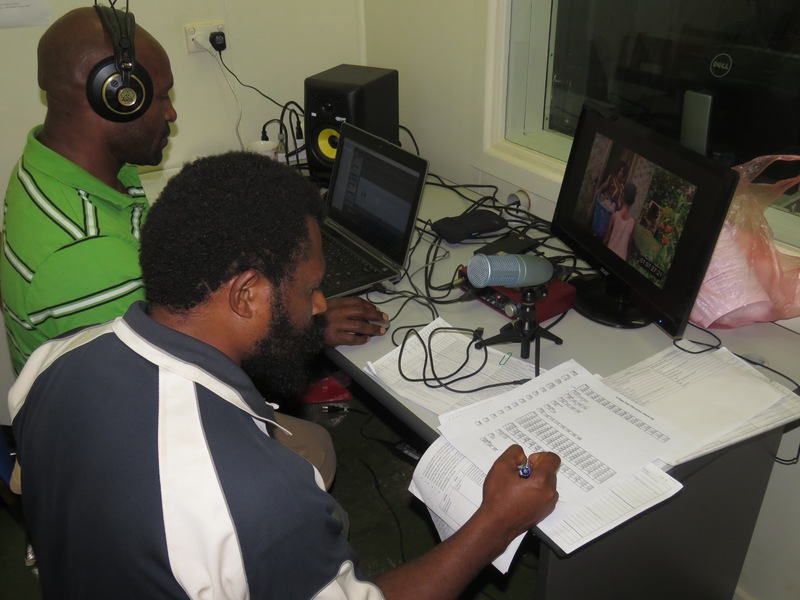 As part of their training, they recorded and produced the film in the Kamano-Kafe language. The Kamano-Kafe version was completed by the end of the training. It will be sold on SD cards and on DVDs at their annual Christmas Camp in late December. In the future, these trainees will work closely with the PNG churches to make this powerful tool available to local communities in their heart language. In fact, it is already having an impact on the people who helped produce it. One of the church elders who served as a voice on the recording was very excited as he told the team, “There are many places I want to show this video!” A woman who played the voice of the mother on the film was so touched by the plight of the children in the story that she was genuinely crying as she read her lines. Pictures and names do not always reflect the exact people, activities and events described in the blog. Unless noted all photographs should only be used with permission (which is granted gratefully and liberally upon request).